Aquarius 2018 Astrology for the month of June predicts that this will be a month of changes as there are transformations expected on personal end as well as in the outside world. Aquarius zodiac sign will be enjoying these changes as they are expected to be advantageous to them. Aquarius Monthly Horoscope predicts a difficult yet good time for the sun sign because the position of planets will lead to both action and inaction. The key to survive this time is to understand and know when to act and when to stay passive. It will strictly depend on your ability to act and not act at the right time which will define how good will be this month for you. June 2018 will be a time when you will be in good frame of mind, you will be able to find solutions of the issues that are bothering you. You are expected to enjoy this month as pleasure is on cards for you. 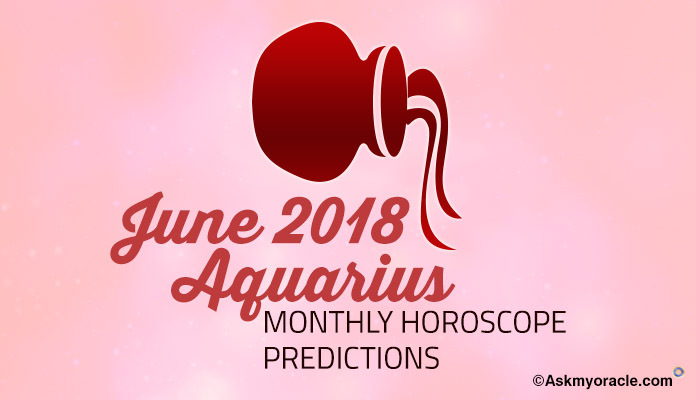 Aquarius Monthly Horoscope for June 2018 predicts that whether you are in job or in business, be prepared to witness changes on the professional front. If you are in job then June 2018 horoscope foretells that there can be transformation in the energies at your work place or your responsibilities. There can also be changes in the management that will influence you. In case you are in business then get ready to expect the unexpected changes. These changes could be because of your actions or reaction to your actions as per Aquarius Career 2018 Horoscope. Aquarius June Horoscope Predictions 2018 predicts that if you are single then lots of opportunities are waiting for you in the outside world. You might as well get confused as to get serious with your love relationship or just have fun. 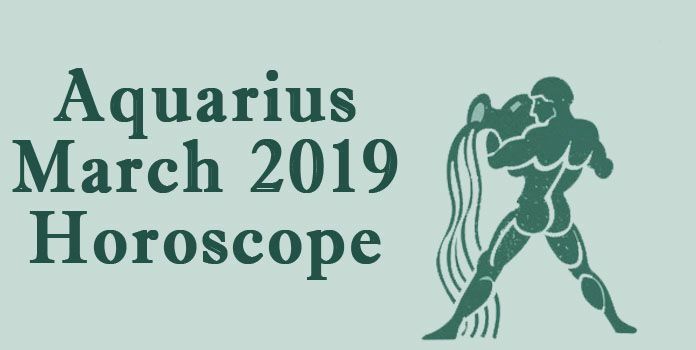 Aquarius 2018 Love Horoscope suggests that this confusion will start to fade away in the second half. Don’t hush while taking a decision in your love matters and give yourself time as you fall in love. June 2018 horoscope for finance forecasts that because of the influence of planets, you will see dull earnings this month. This is not predicted to be a very good month for your money matters. Therefore, be cautious while taking important monetary decisions and making significant investments because you cannot trust your financial instincts. Astrological predictions also suggest that there might be a tussle between your personal money interests and financial interests of your spouse. Aquarius Monthly Horoscope for health of Aquarius zodiac sign predicts that you will be blessed with a wonderful health this month. There are no major health issues on cards for you. The only key to make it the healthiest month of the year is by ensuring that you eat healthy and maintain a good fitness regime. Just by following these guidelines, you will be able to maintain high fitness and wellness levels which will infuse you with lots of energy and keep you active. June 2018 horoscope for marriage predicts that it is going to be a mixed bag for the zodiac. In somethings you will have complete support of your spouse in form of love and understanding and in somethings, your interests might clash. But Aquarius June Horoscope Predictions 2018 suggest that you will have a good marriage compatibility. If you wish then you can also plan your family this month as the energies at your home are very positive and relationships are blooming with love. Aquarius 2018 astrology predicts that all the students born under this zodiac sign will have a good month. June 2018 is forecasted to be the right time to move ahead in pursuing your career as planetary equations are very much favourable. Success will come to you if you will work hard because you are very competent and skillful. If you are pursuing some technical course then you will enjoy amazing results. If you are expected to write some competitive exams then monthly horoscope predictions suggest healthy results.